Today in History–September 19–the Library of Congress features the first battle of Saratoga. On this day in 1777, Continental soldiers under American General Horatio Gates defeated the British in Saratoga, New York. 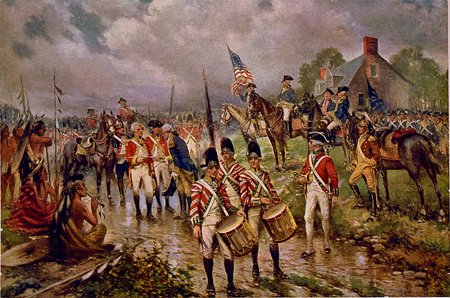 A month later, British General John Burgoyne surrendered his British troops at the same place. The American victories at Saratoga turned the tide of the war in favor of the colonists favor and helped persuade the French to recognize and support American independence. Learn more by visiting the Today in History section, then click the links below to access related primary sources.